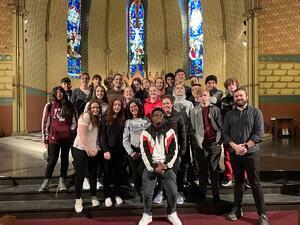 In between seeing the iconic Bean sculpture and hitting a Classic Chicago restaurant, Portillo’s, the Choir had the opportunity to do a clinic with the Director of Choral Activities at DePaul University, Dr. Esparaza. 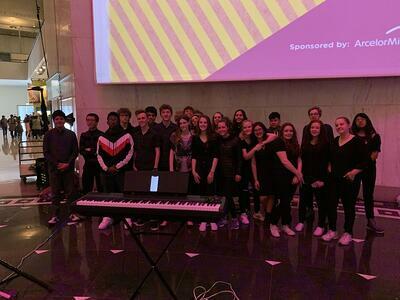 They also performed in the atrium at the famous Museum of Science and Industry. Crowds of nearly 100 built up to hear the group perform songs such as Can't Help Falling In Love by Elvis and Pray by Sam Smith. 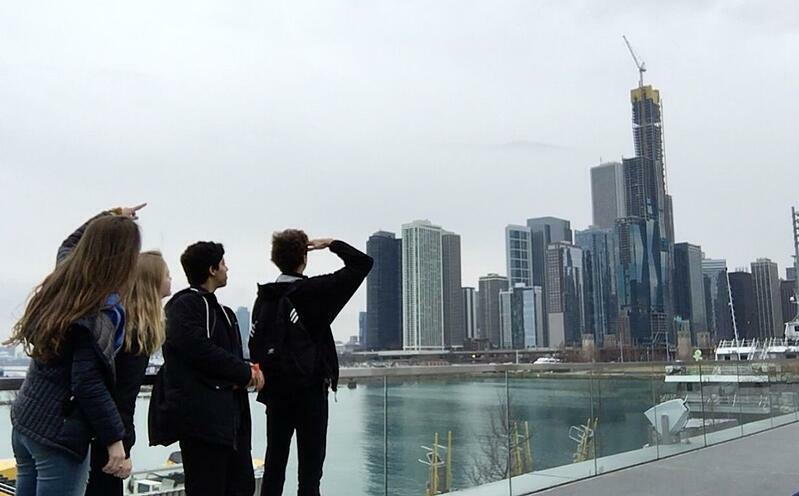 This trip was a dream come true for their music program, and they plan on making it an annual endeavor. Mike Lang, their leader, talked about how important travel can be to enrich a person’s life and how this trip allows students – some who have never left Colorado – to have those experiences. Mr. Lang described the joy that comes with sharing their voices and how especially wonderful it was to sing in one of our countries most iconic cities. 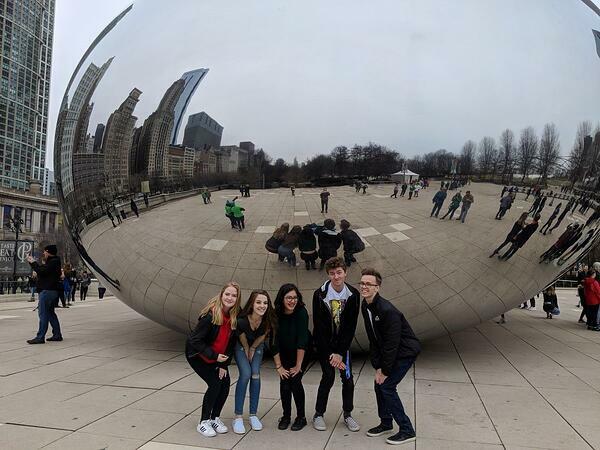 The trip represents all of the hard work these students have put in over the course of the year. Two claps on two for our Falcons, they showed Chicago what DSST is all about!